3.5” bike computer with comprehensive navigation, performance and cycling awareness features. Trendline™ popularity routing uses millions of miles of Garmin Connect™ ride data to show the best on- and off-road routes. 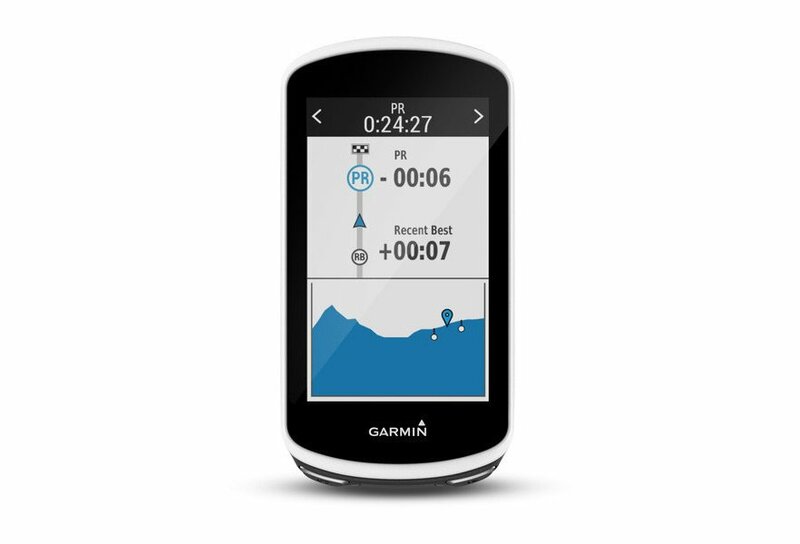 Preloaded Garmin Cycle Map provides turn-by-turn directions and new navigation alerts. New rider-to-rider messaging1 lets you stay in contact with other cyclists in your group. Challenge yourself every ride with newly updated preloaded Strava Live Segments feature. Battery life: up to 20 hours, extendable up to 40 hours with the optional Garmin Charge™ power pack. Mounts (standard and extended out-front). Physical dimensions: 58 x 114 x 19 mm. Display size: 58 x 114 x 19 mm; 3.5'' (88.9 mm) diagonal. Display resolution: 282 x 470 pixels. Preloaded Garmin Cycle Map. Ability to add maps. Storage and Power Capacity: 16 GB plus microSD™. History: up to 200 hours. Sensors: GPS, GLONASS, Barometric altimeter, Accelerometer. Courses (compete against previous activities). Compatible with Vector™ (power meter). Power meter compatible (displays power data from compatible third-party ANT+™-enabled power meters). 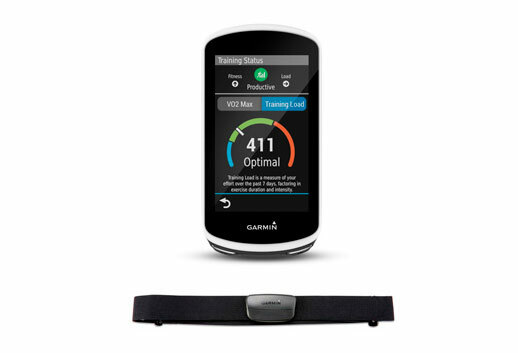 Garmin Connect™ compatible (online community where you analyse, categorise and share data). Automatic sync (automatically transfers data to Garmin Connect). Connected capability: Upload, LiveTrack, weather, notifications, incident detection, GroupTrack, audio prompts, rider to rider messaging. 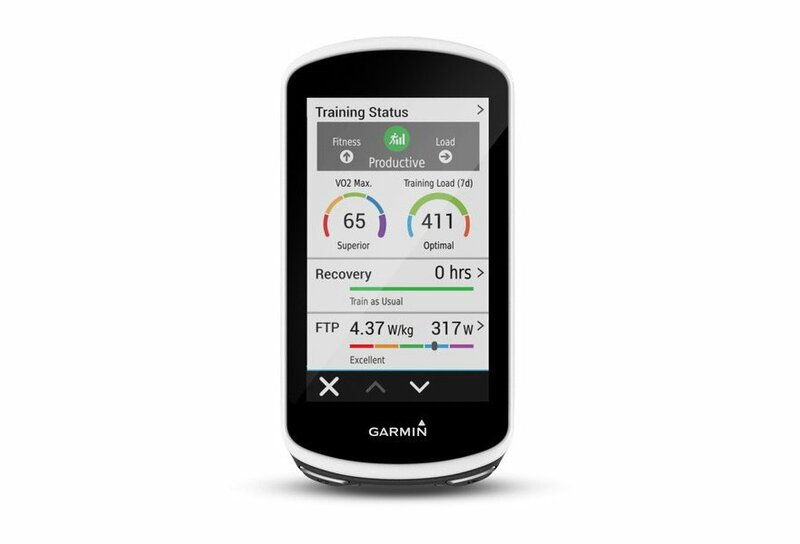 3rd-party app access: via Connect IQ, including preloaded Strava and Training Peaks. Navigation via device, apps, popularity routing and recalculation. Open API available with select partners. Train more efficiently with our textile strap heart rate. When you wear around your chest during an activity, it wirelessly transmits your heart rate to your compatible device, so you instantly know the intensity of your effort. The strap is made of soft fabric for comfort. You can adjust its size to your body so that the heart rate monitor does not move for your business. After the initial pairing with your compatible device, the heart rate monitor belt is automatically detected by the result. In addition, it is optimized for use in high-traffic locations such as gyms or road races. Thus, it captures a signal: yours. Maintenance is a breeze. The heart rate sensor plastic withdraws from the strap, so you can wash it as many times as you want.